If you are facing criminal charges, retain the services of an attorney you can talk to – an attorney you can trust. 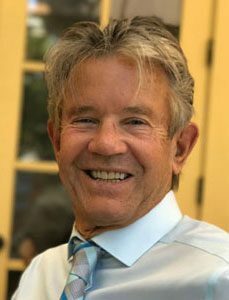 With over 40 years experience and over 100 jury trials, Michael Semansky has won dismissals on trials from Murder, Assault to DUI and Domestic Violence charges. He defends misdemeanor and felony criminal cases in both federal and state court. Mr. Semansky draws on his rich experience as a former prosecutor in defending his clients from criminal charges. Mr. Semansky routinely makes home visits to clients and families who are unable to make it to his office. He works with his clients’ schedules, frequently meeting with them on nights and weekends. His policy is to be accessible and open to client requests and he updates his clients regularly on the progress of their cases. Attorney Semansky’s goal is to provide every client with a high caliber of representation and legal strategy. Contact Michael P. Semansky today to speak with an experienced criminal defense attorney you can trust. At our Martinez law office, we control the number of cases that we accept. Because we keep our caseload down, every case is afforded the time and resources needed to ensure quality representation. We only take a limited number of cases per year so that we can make every client our priority. The Semansky Law Firm serves Contra Costa County including Walnut Creek, Concord and Martinez, CA. Contact Michael P. Semansky today to speak with an experienced criminal law attorney you can trust.